�����Over the last 100 years the approach to collecting coins has changed dramatically. What may have begun as an unpretentious way of collecting as a hobby has now become one of the most dynamic business industries in the United States. More and more dealers are adjusting their business practices to allow for the marketing of all the modern U.S. Mint coins whether in the original packaging or in high grade certified holders, while the mint continues to sell out of product after product. �����The transition from hobby to �big business� has created a myriad of specialty collectors and investors, none of which buy coins with the intent of losing money. Most seek to identify areas of the coin market that have the greatest potential for profit. Recognizing this potential is not just about current and future value; rarity is and will always be a key factor. With the use of population reports, advanced collectors can track the number of coins that are potentially available in various grades for every date by denomination. �����The Early $2 � Gold series is comprised of truly rare coins. The total number of coins minted for the first twelve dates is only 22,197. 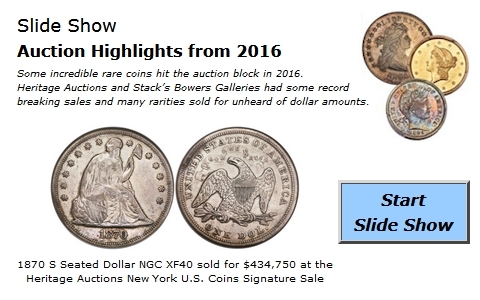 A far more important number is that only 1,084 have been certified in all grades in the twelve dates by PCGS and NGC. This includes all the circulated and Mint State grades. Though we all know more coins will be certified in the future, most experts are satisfied with the supposition that, since the inception of the grading services in 1986, the majority of the coins in existence have been certified. The chart below shows the original mintage of each coin along with the number of coins certified by PCGS and NGC combined in circulated and Mint State grades. Note that the 1804 13 and 14 Stars is a combined original mintage*. �����The 1808 was included because it is a one-year type and appreciates exceptional demand for the small number of coins available. In all cases the number of circulated coins is considerable compared to the number of Mint State coins certified, but this does not make the circulated coins any less rare in the eyes of collectors. The availability in the marketplace for most of these coins is very sporadic. Most of the available coins are found in auctions and many that trade are less than perfect for the grade. In other words, they have been improperly cleaned, have damaged surfaces, or even repairs; and many of these dates still bring strong bids because of their extreme rarity. So when flawless-for-the-grade coins are auctioned, there is a tremendous amount of interest from advanced collectors and investors. �����The rarest dates of these twelve coins are the 1796 no Stars, the 1796 Stars, the 1797, the 1804 13 Stars, and the 1808. This is consistent throughout all the grades as the listed FMV indicates. The majority of collectors cannot afford these dates so the next tier of rarity, the other seven dates, would be the target for most. Eliminating the 72 coins in the 1807 category, the 1807 being the most common in most grades, that leaves only 128 Mint State coins for the remaining six dates. The 1802/1 has the highest population of Mint State coins from this remaining group with 42 and its FMV in MS65 is $297,000. If you remove the 1802/1 from the equation, we are left with 86 potential Mint State coins from the remaining five coins; 1798, 1804 14 Stars, 1805, 1806/4, and 1806/5. While all of these are very expensive in Mint State, the potential for acquisition in the AU grades is more likely. The list below shows the latest FMV for these five dates in AU50. �����The problem with acquiring any of these coins comes right back to availability. They rarely trade because of their scarcity and the current owners of these coins know they are great assets. When any of these coins come up for auction, presuming they have good eye appeal, they will typically bring premiums to the current FMV listings. Just considering the total number of coins certified from the population reports alone, it is obvious that these coins are difficult to procure. So when they are made available, be prepared to be very aggressive if you are serious in acquiring one of these truly rare coins.